In her first year as a Chatterbox staff member, Alonna Johnson is excited to work as a sports writer. Her goal this year is to make the Chatterbox inclusive to all sports by covering as much as possible. This is Johnson’s first year with hands on journalistic experience but she knows that this will not be her last. Besides being a Chatterbox club member, she participates in Douglas Elementary mentor program and is a participant in WHHS’s theatre program. She likes talking and participating in arguments, as she tends to wins most. 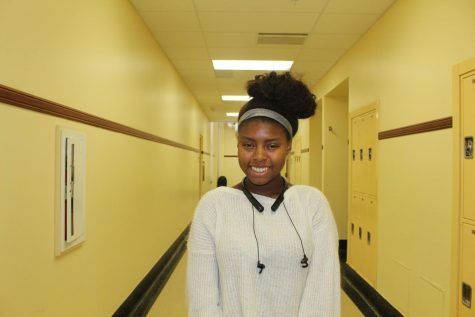 She plans to attend Syracuse University and major in Broadcast and Digital Journalism.Johnson plans on becoming a broadcaster for a mixed martial arts or wrestling company. In her free time, she enjoys watching pay-per-views over mixed martial arts, playing frustrating video games and hanging out with her friends.